Dr. Avella comes across as a very nice man and caring physician. His bedside manner is perfect. His medical advice ishonest, to the point and given with a caring tone. Dr. Avella comes across as a very nice man and caring physician. His bedside manner is perfect. His medical advice is honest, to the point and given with a caring tone. 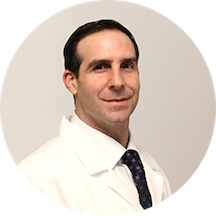 Dr. Thomas Avella is a diligent and experienced internist serving the community of Stoney Point, NY. Dr. Avella attended the Ross University School of Medicine, where he received his medical degree. He completed his internship and residency in internal medicine at New York Methodist Hospital. He completed his MBA at the University of Massachusetts and also holds a bachelor’s degree from the State University of New York in Albany. Dr. Avella is affiliated with Nyack Hospital and Good Samaritan Hospital Medical Center. He is also an active member of the American College of Physician Executives. Dr. Avella believes in developing a rapport with patients for life. He is deeply committed to the wellbeing of his patients. He takes a thorough and precise approach to his consultations to ensure that he is consistently giving accurate diagnoses. Outside of his practice, Dr. Avella enjoys golf, exercising, and spending time with family. Very quick process today. Appreciated blood work done in a timely manner. Spent time talking to me and explained in,length what it needed to do to. Great bedside manners, will highly recommend to friends. It went great, wait time was less then 2 minutes. Friendly and very professional. Answerd my questions. Reviewed past health reports and ordered appropriate tests and renewed prescription. Honestly, my best experience was in the waiting room. Receptionist was fantastic! The one thing I'll give them is that I was there around 5:30pm, and very much felt like the last patient of the day. They couldn't wait to getme out the door, and Avella BARELY looked at me as I expressed concern about multiple tick bites, and not getting a physical in 10 years. No follow up. P.S. they screwed up my weigh in, and BMI by not taking my clothes off, and then Avella told me i was OBESE. I'm 6'0" --- 190lbs. Have fun! Very Nice and Concerned Doctor! He was very profesional,and nice!!! One of the set-up scanners on proxy servers all incorrect and he wrongly accused a pharmacist of taking my medication and changing things when I knew who was guilty already including him. Don't go there it's sad because the office manager was smart and kind. He is a fantastic doctor who cares about his patients! Very Nice and Caring Doctor! he was great but there has been absolutely no follow up on my blood test results and it has been over 2 weeks! He has such a good humor. The staff were very nice and Mr.Thomas was very professional. Thank you so much.